To order an autographed copy of the book, click here. A review of the book by Penny Haren in the Checker Newsletter can be seen here. 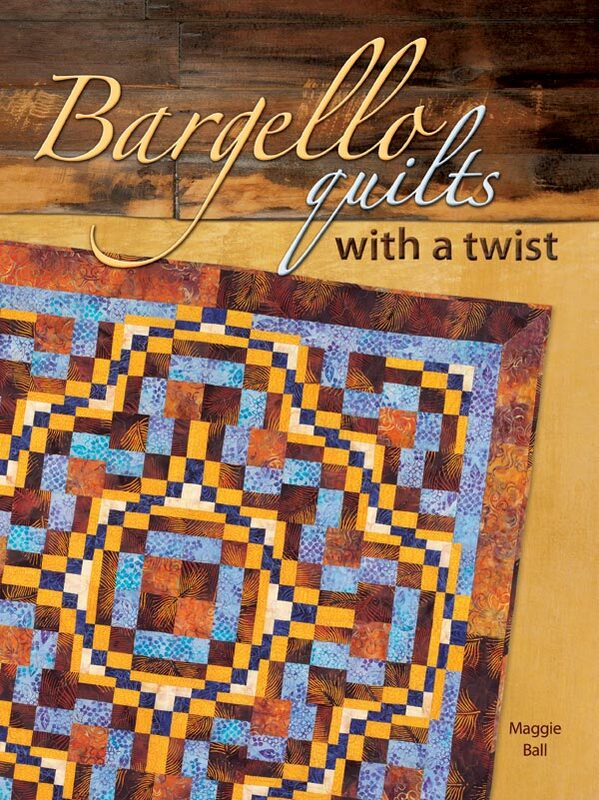 Explore an innovative approach to the Bargello technique. Create stunning unique quilts from Maggie's new and easy-to-piece 16-patch Bargello block. You will be amazed by the versatility of this block and design possibilities. Breathe new life into your favorite traditional blocks. Take the Ohio Star, Trip Around the World and Bear's Paw blocks from "been there and done that" to fresh and fabulous new heights with Traditional Quilts with a Twist. 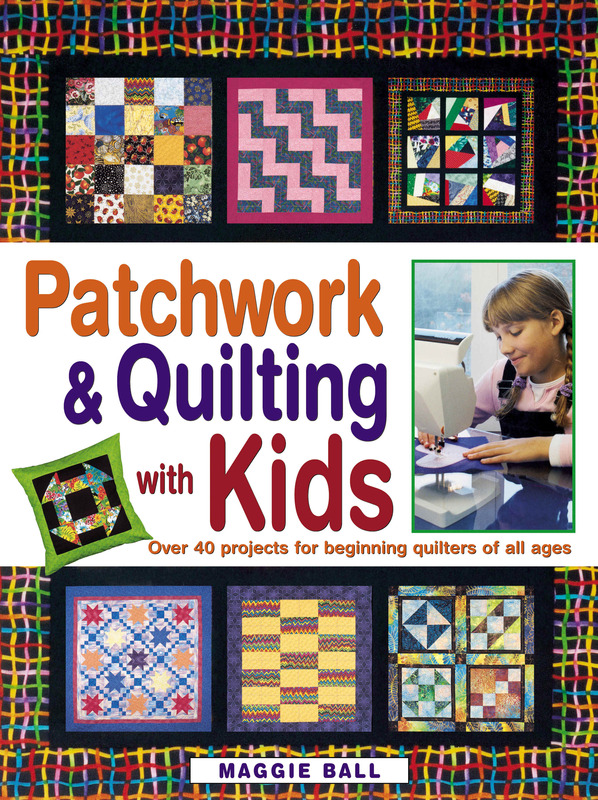 If you've been looking for ways to interest children and students in quilting, Patchwork & Quilting with Kids is your best bet! Inside you'll find more than 40 machine projects for beginning quilters of all ages, including easy projects like tote bags and little quilts. You and your children will learn easily and quickly from author Maggie Ball, who has been quilting for nearly 20 years. With her easy-to-follow techniques and photos, you can learn how to strip piece, make fast triangles, crazy patchwork, and many more quilting techniques. Over 40 fun projects, including pillows, tote bags, preemie baby blankets, and lap quilts. Design grids to color and create new patterns. 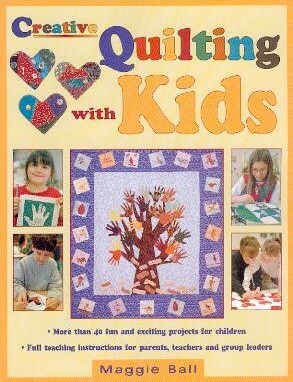 Suitable for beginning quilters of all ages. Childrens enthusiasm for quilting will delight you. Teach individuals to sew by hand or machine, or use their imaginative artwork to make unique quilts for school fundraisers, teacher and family gifts, or to give to community outreach programs. Benefit from my experience in teaching over 50 projects with more than 800 children. The book will guide you through the entire creative process, from planning and choosing appropriate techniques to detailed piecing and completion instructions for the childrens quilts. More than 40 quilts featured with full directions and photographs to illustrate the techniques. To see some of the quilts featured in the book, click on Project Examples from the Book. To see a review of the book, please click here. The contents of this website are copyrighted (2009). 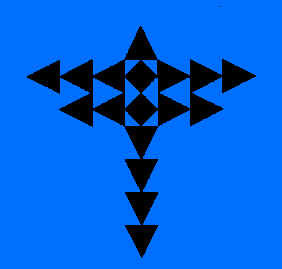 No material may be reproduced without the permission of Maggie Ball.